Secretary of State: Iran shows yet again it is pursuing enhanced missile capabilities that threaten Europe and the Middle East. 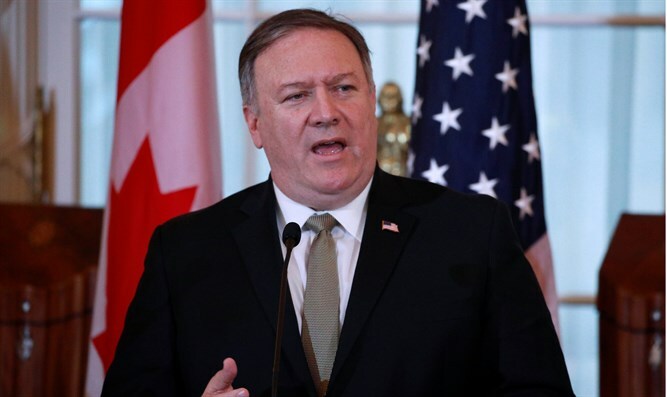 US Secretary of State Mike Pompeo on Tuesday condemned Iran’s launching of a satellite in defiance of US warnings against doing so. “In defiance of the international community & UNSCR 2231, Iran’s regime fired off a space launch vehicle today. The launch yet again shows that Iran is pursuing enhanced missile capabilities that threaten Europe and the Middle East,” tweeted Pompeo. Iran’s Telecommunications Minister, Mohammad Javad Azari Jahromi, said on Tuesday morning that the Islamic Republic launched a satellite into space but that it failed to reach orbit. The Minister explained that the rocket carrying the satellite failed to reach the “necessary speed” required to go into orbit, but promised that scientists would continue their work on the technology. The launch came despite Pompeo’s warning to Iran earlier this month to cease its efforts to develop ballistic missiles. Pompeo demanded that Iran drop its plans for a space launch, saying such actions would defy UN Security Council Resolution 2231. He later said that Iran will continue with its aerospace program despite US warnings to stop, adding there was no international law prohibiting such a program.